Are you in need of relocating the furniture? 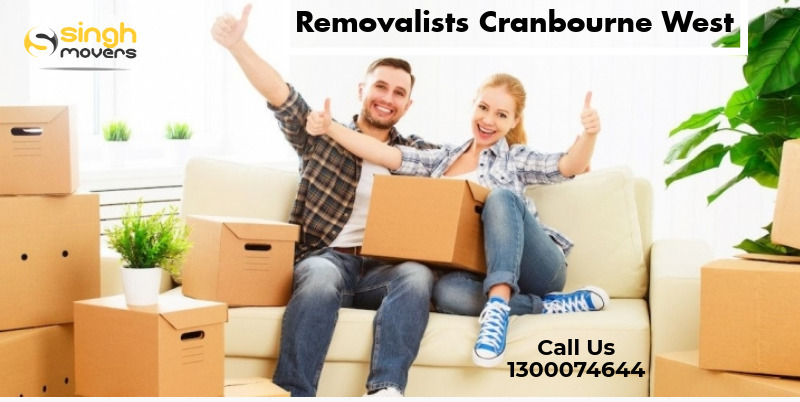 If yes, Removalists Cranbourne west is the best option for you. Whether it is the residential or commercial place, moving from one place to another place is the tiresome, difficult and hectic task. When relocating the home or office one needs to face many tedious issues like packing, loading, moving, arranging for the transportation, unpacking and unloading. You need to pack the belongings a month before because it makes you uncomfortable and annoying. As well as while relocating your home or office you may fear damage to your precious items. Overall the complete shifting process is very annoying and stresses full task. Are you looking for the best way to get rid of these tasks? If so then you can the best packers and movers service provider to shift your home. Are you living in the suburb - Cranbourne west of the city of Melbourne? Or else Are you searching for the best packers and movers in Melbourne? If so then you have here in the right place. These days there are numerous Movers and Packers available in the suburb of Melbourne but Singh Movers is one of the leading and popular Furniture Removalists Cranbourne west. We are one stop solution for all the relocating services. All our relocating services are only obtainable at the lowest price. Our removalists Melbourne will take care of all your things carefully in the best way while moving. We will make the home or office relocating process from exhausting & worrying task to the most comforting one. We not only shift the professionals locally but also interstate. We provide furniture removalists Cranbourne west services only at a reasonable price to our customers in Melbourne. The experts in our removal company have several years of experience in the field of Furniture Movers so they are capable to do any kind of removal service. Our Singh Movers Company is the Melbourne Company who provides reliable and cost-effective service to the customers. As we are the leading and famous Furniture Movers Company we are able to provide any kind of relocating service to our clients. We have many years of experience and high reputation among the people in this field. Our experts in the company will provide you complete moving services such as the packing, loading, shifting, unloading, unpacking, and wrapping the items and many others. So if you need to shift your home, you can contact us through phone or email mail. Once you confirmed, our experienced and skilled experts will visit your place and examine the belongings in detail. And then the experts will do a proper plan to shift your things easily. We take care of each and everything from small to large. Our friendly moving men will provide safety to all your possessions because they are highly professional and experience in this field. They will transport your items to your desired location safely. Our company will not get any hidden charge from the customers. Our charge only depends on the relocation service. Our well-trained professional movers can able to handle your goods securely and hence have years of knowledge to assemble and disassemble the furniture after reaching the desired destination. We will never ask our customers to pay for any petroleum because we are affordable furniture removalists. Our Furniture movers have different types of tools and equipment to move the belonging safely. We also have ramps and trolleys for moving the different kinds of pianos. This is the main benefit is to hire us during the shifting process. We guarantee the security and safety of your goods. We use high-quality packing materials to pack the items and then load them it into the vehicles properly to transport. Our professionals use the correct material as well as the technique to pack, load and transport your possessions. The materials we provide prevent from the damage or breakage. This is another benefit of hiring our company. We provide you goods insurance policy. This means if any damage or breakage occurs during the shifting process we take care of it. At Singh Movers and Packers, the professional's aid you to speed up the shifting process. This means we will pack, load and transport your items so you can do any other tasks. Our movers do not use any robots for their shifting service. They make use of humans and are happy to assist customers 24x7 through chat, email or phone. The Singh packers and movers make use of reliable and best packers & movers to offer high-quality service to the customers. Cranbourne West is a suburb of Melbourne, Victoria, Australia. It is located 40 km south-east of the Melbourne’s Central Business District within the City of Casey. According to the 2016 census the population of the suburb Cranbourne West is 15,035. Cranbourne West has evolved since the 1990s, and in 2006 a new shopping center called The Sandhurst Center was opened on the corner of Duff Street and Monahans Road. The 7-12-year-old private Catholic school is located on Slepian Street in the far south of St. Peter's College suburbs. Moving to a new place is a tiresome task especially when it comes to shifting your goods. The shifting process must be done with extreme safety & security. The Singh Movers help you to shift your stuff properly in the right condition. You can get reliable service from us always. Our movers and packers Melbourne ensure to offer different kinds of shifting services such as pets, office needs, and residential goods.